The recent essay in The New York Times , “A Brief History of Panic,” highlights the ways that epidemics have caused widespread panic as well as the ways authorities have tried to control that panic. Such efforts are by authorities are by no means new but extend at least back to the fourteenth century. 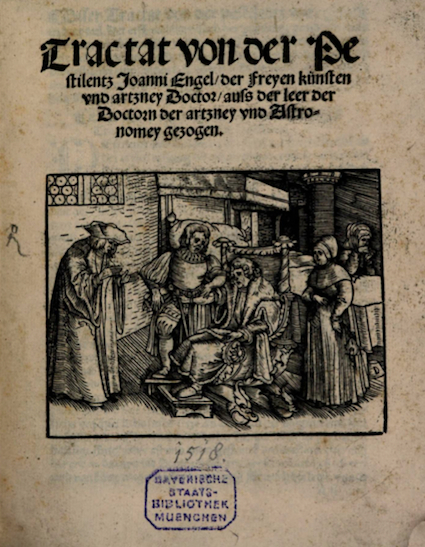 Johannes Engel’s Tractat von der Pestilentz Joanni Engel (Augsburg, 1518) is typical of these texts. Written in the vernacular, it opened with a short discussion of the causes of the recent pestilence, usually a combination of remote, astrological causes and more local corrupt air. 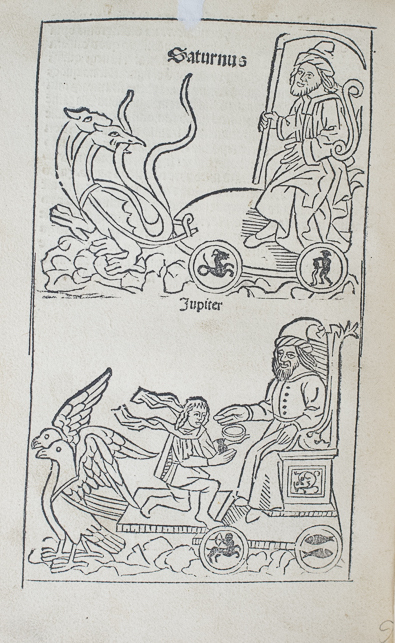 Engel identified a series of malefic planetary conjunctions and the always detrimental “30 revolutions of Saturn” as the astrological causes that had corrupted the air with poisonous vapors and dampness. But lest his reader despair, Engel explained how to act and what to eat and drink to avoid contracting the pestilence. He also offered some guidelines for recognizing who had been infected and what to do to treat them. 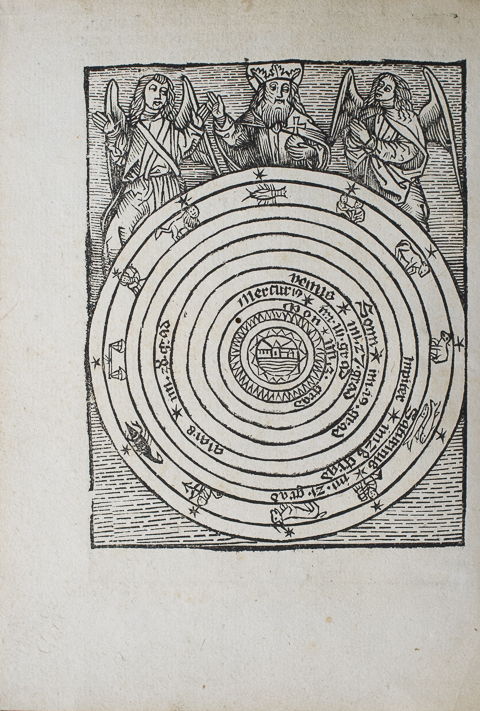 Johannes Engel’s Tractat von der Pestilentz Joanni Engel (Augsburg, 1518). Pestilences took many forms. We often think most readily of the Black Death. 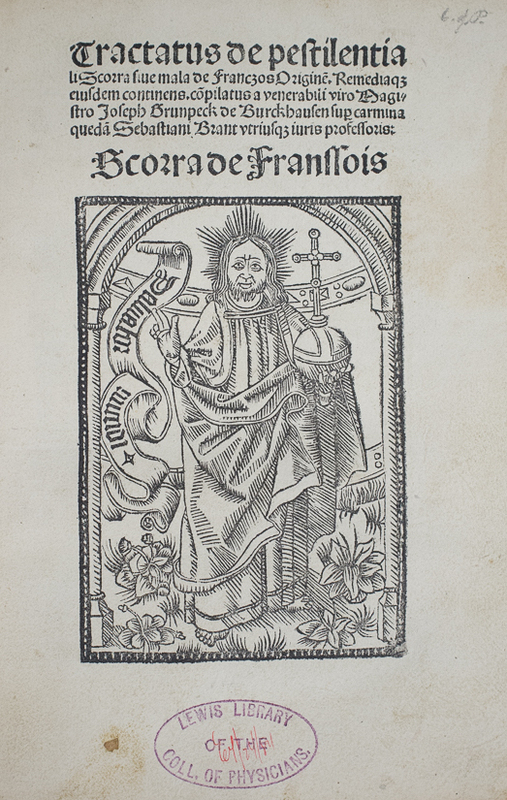 But for people at the end of the fifteenth century, the new and frightening epidemic was the French Disease.3 Just as physicians in the fourteenth century had tried to explain the advent of the plague, in the 1490s and early 1500s physicians argued vehemently about the origins, symptoms, and cause of the French Disease. One of the more heated debates occurred between the German physicians Martin Pollich and Simon Pistoris. Their debate began as an academic disputation but soon spilled over the walls of the university and into the popular pamphlet literature.4 Simon Pistoris’s Ein kurtz schon und gar trostlich regiment wider die schweren und erschrecklichen kranckeyt der pestilenz (Leipzig, 1517) offers a range of generic advice on how to avoid a pestilence. The simplest advice was the best: flee, flee far and fast. 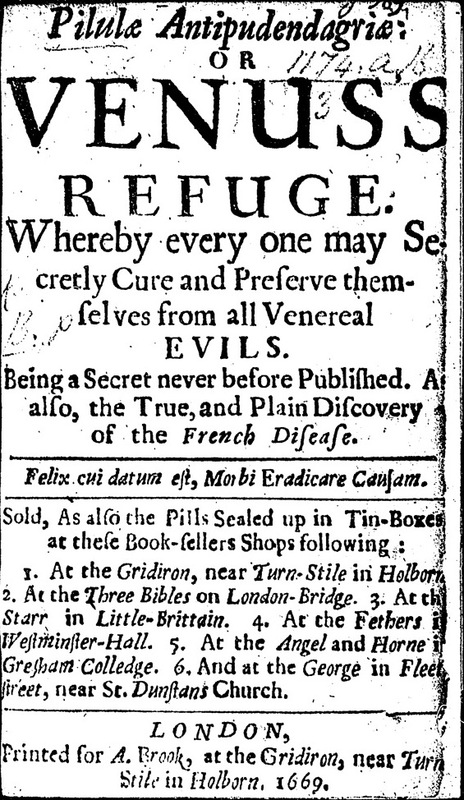 For those who couldn’t flee, he offered a range of advice about the source of the pestilence, what and how much to eat and drink, when to sleep, when to bathe, when to purge, and a host of other activities that would help the reader stay healthy during an outbreak. 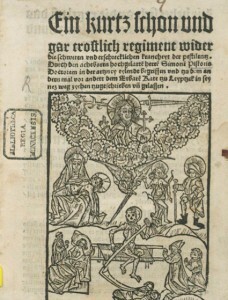 Simon Pistoris’s Ein kurtz schon und gar trostlich regiment wider die schweren und erschrecklichen kranckeyt der pestilenz (Leipzig, 1517). In addition to advice about what to do and what to avoid, these pamphlets often included recipes and prescriptions. 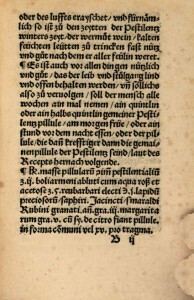 Johannes Stocker’s Ain kurtz Regiment für die Pestilenz ([Augsburg], ) offered readers a number of prophylactic recipes. In some cases, readers were instructed to roast the mixture over hot coals in the morning and at night, in order to cleanse the air. Another recipe produced a “Pestilenz pillule” that included, among other ingredients, precious stones. The reader should take early in the morning or one hour before dinner. Johannes Stocker’s Ain kurtz Regiment für die Pestilenz ([Augsburg], ). For readers unfortunate enough to have already been infected by the “poisonous substance” Stocker offers a recipe for a patch or bandaid of some sort (a “pflaster”) that, he claimed, was effective in drawing out the poisonous substance. 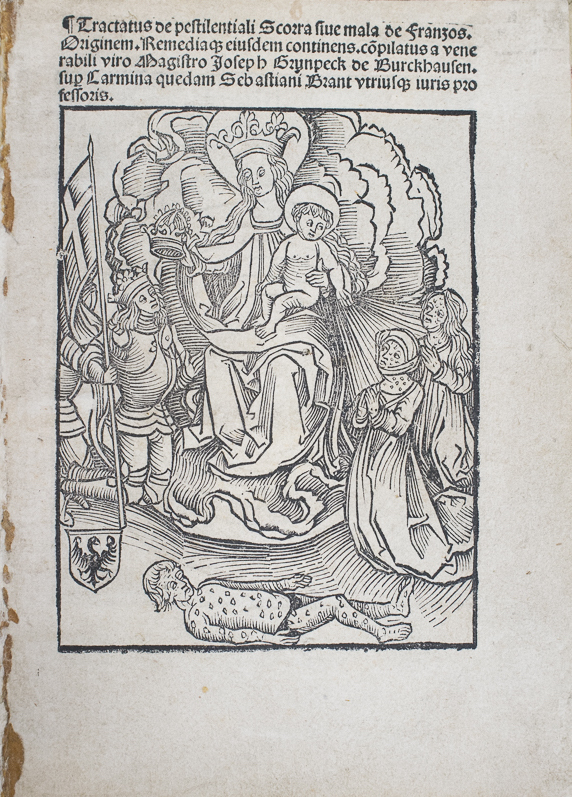 In 1521 Georg Tannstetter, an important member of the medical faculty at the University of Vienna and physician to Archduke Ferdinand, wrote a short text for the citizens of Vienna during an outbreak of the plague: Regiment für den lauff der Pestilentz (Vienna, 1521). 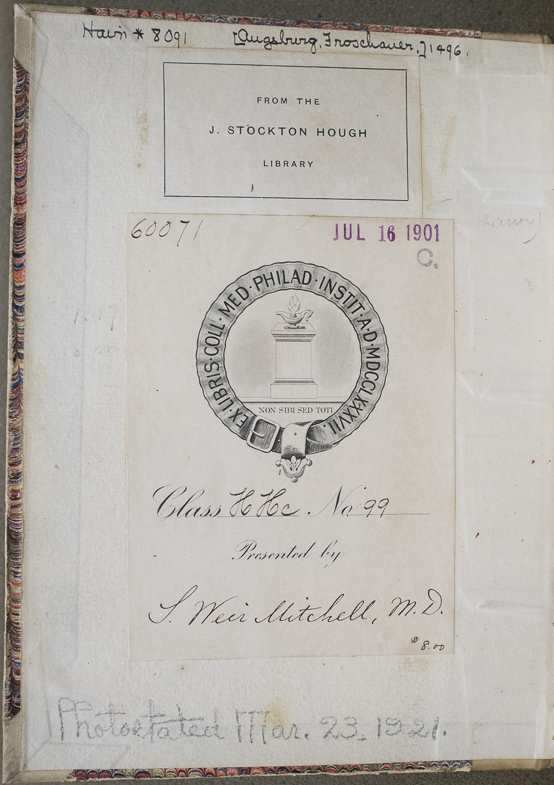 Like other pamphlets, Tannstetter’s was intended to calm the populace by giving them both a familiarity with the causes of the epidemic and various measures to avoid it. 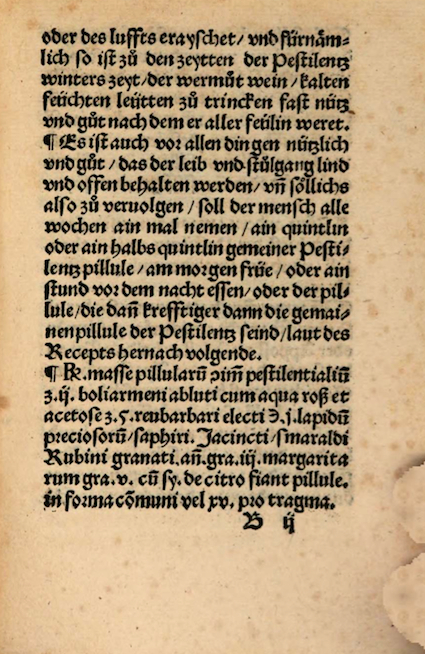 Gesturing to the strong tradition of materia medica in Vienna, Tannstetter did not offer recipes but encouraged his readers to buy prescriptions from the local apothecaries. 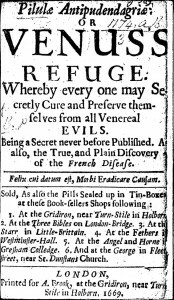 Well into the sixteenth century such pamphlets continued to appear with the latest epidemic in cities across Europe. 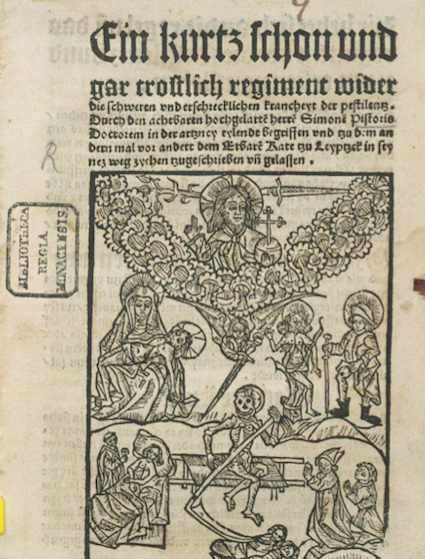 Along with the newly composed pamphlets, printers often simply recycled older pamphlets, apparently responding to healthy market for such consilia. For centuries people have looked to their authorities for reassurance and comfort in when confronted by different epidemics.